The Lotterys are a very diverse family. They have two dads and two moms: PopCorn and PapaDum, and Cardamom and Mama. When they won the lottery, they decided to buy a giant house in Toronto, where they could raise their children. Some are adopted and some are their biological children. They have 7 children, each named after a type of tree. The story follows the fifth child, Sumac Lottery. She gets to travel to the Yukon with PopCorn to visit his father. But it isn’t the trip she expected. PopCorn’s father, who the kids call Grumps, burned down his house because he has dementia, so they bring him back to live with them. Their 82-year-old Scottish grandpa isn’t prepared for their diverse household, with gay parents and multicultural children. Sumac is given the task of guiding Grumps through their house and their daily activities. 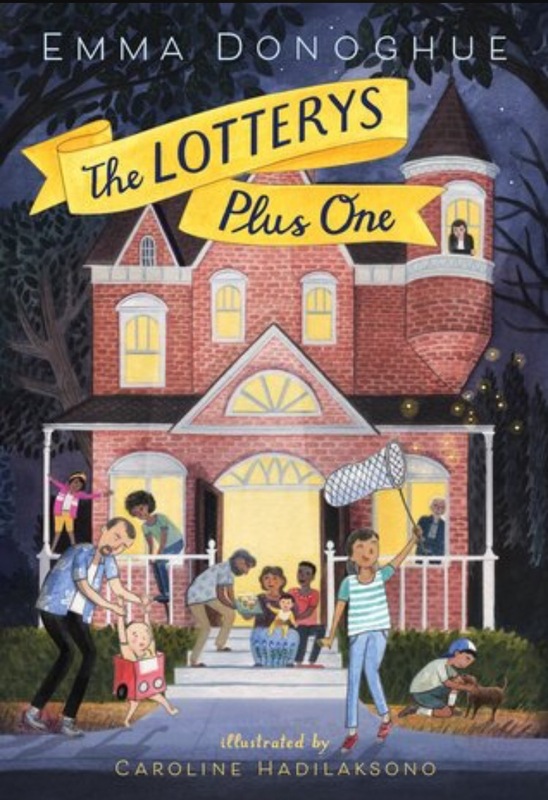 The Lotterys are a very diverse family. The four parents consist of two gay couples. Many of the children are from different cultures, like Native Canadian, Filipino, Jamaican, and Hindu. They celebrate the different holidays from these cultures. The grandfather’s old-fashioned ideas clash with this modern family in a realistic way. The illustrations in the novel were a great help for keeping the characters straight. There are 11 Lotterys plus Gramps, so I started to get them confused at first, but their distinct pictures helped me keep remember who they were. There was also a lot of Toronto history in the story. For example, the Toronto islands used to be part of a peninsula connected to lakeshore, but they broke away. They also mention Hurricane Hazel which I learned about from my grandparents but immigrants to Canada may not be familiar with. This is a great book for parents and young readers. I learned lots about Toronto from this book so I’m sure others could too! Gotham Academy is in Gotham City, home of Batman. Olive returns to school after a rough summer. Her mother was locked away in a building, but it collapsed so she’s in a coma now. Olive wasn’t able to see her boyfriend, Kyle, so now they’ve drifted apart. Olive has to take Kyle’s sister, Maps, under her wing to show her around school. But Maps is only interested in finding the ghost that keeps appearing. They are supposed to stay away from the North Hall, but of course that’s where Maps wants to look for the ghost. 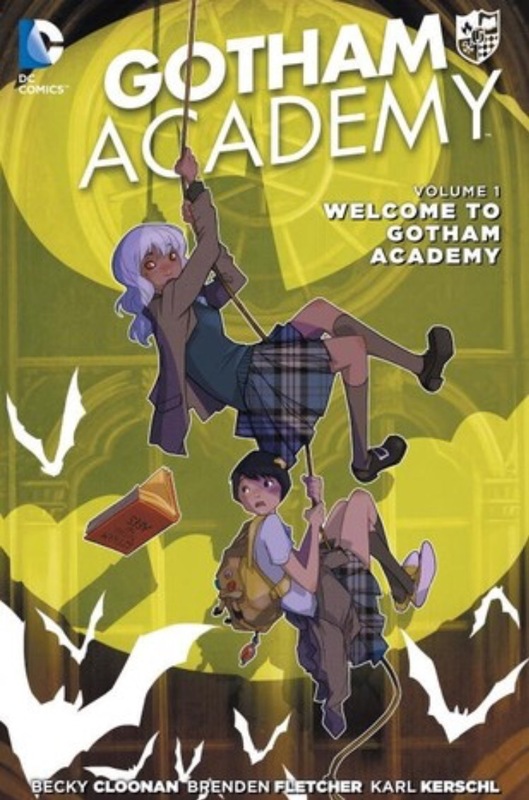 The girls need to use the diary of Millie Jane to find the secrets of Gotham Academy. I liked this story. There was some mystery around the ghost, but it had a typical “ghostly” reveal. But that was only part of the story. I enjoyed the plot, and it would be appropriate for middle grade readers too. I hope the next volume has more aspects of Gotham. There were hints of the Arkam Asylum in this one, but I hope they explore more of the inmates next time. Construction workers find the a newborn’s bones while they are digging up a backyard. The remains are 30 to 40 years old. There are only bones left, so it’s hard to figure out what happened. Emma has mental health problems and she gets very nervous when she hears about the discovery that happened in the backyard of her childhood home. Angela gets hopeful when she hears about it because she wonders if it is her long lost baby that was abducted from her hospital room 40 years ago. Kate is a reporter who is intrigued by this story and throws all her energy into discovering the identity of the mysterious baby. This book was a thrilling ride from beginning to end! There were multiple characters who were under suspicion for having something to do with the baby. Angela thinks it’s her missing baby. But at the same time Emma acts very guilty for some reason. At first, I wondered why Emma’s narration was in first person, while Kate’s and Angela’s chapters had a third person narrator. However, by the end of the story it’s clear why this technique was used. It increased Emma’s unstable appearance to the reader. Though I figured out what the solution was before the end, this was a really good story. I was hooked from the beginning and couldn’t put it down. 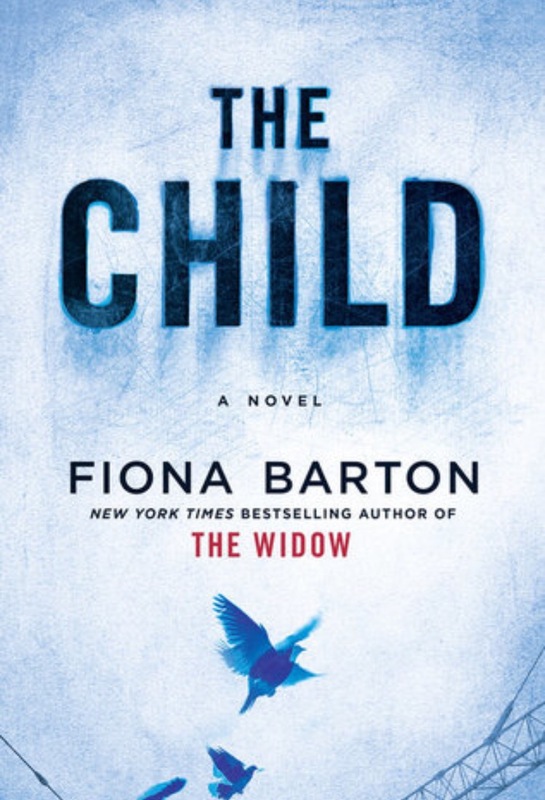 Now I need to read Fiona Barton’s previous novel, The Widow. Kristy Thomas, Mary-Anne Spier, and Claudia Kishi are best friends who live in Stoneycreek. They all babysit for kids their neighbourhood. One night, Kristy’s mom has trouble finding a babysitter for David Michael, Kristy’s little brother. 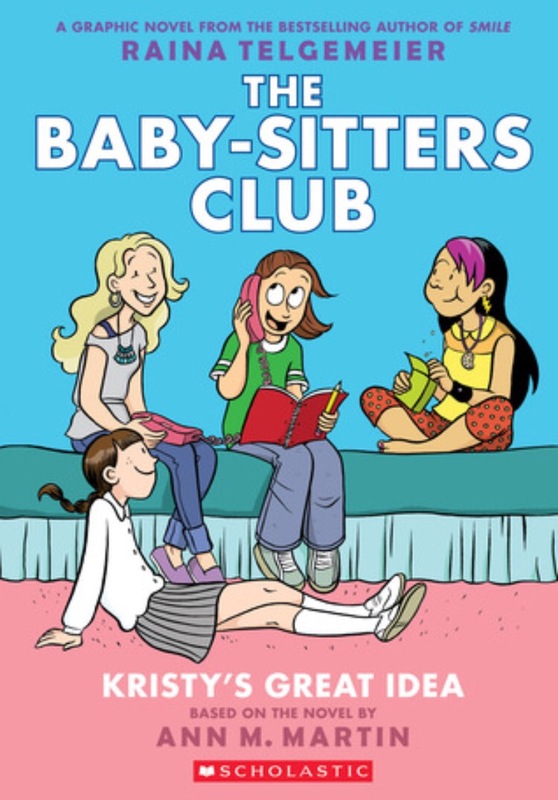 When she has to phone multiple people before finding a solution, it gives Kristy the idea to start the Baby-Sitters Club. Kristy and her friends, along with Stacey McGill, will meet three times a week and take calls from parents who need babysitters that week. That way, parents can reach many babysitters at once. They also create a notebook where they can write their experiences with each family, so the other babysitters know what to do if they ever have to babysit them. This new club also brings Kristy closer to her family and her mom’s new boyfriend, Watson. The drawings in this book are just like the other ones in Raina Telgemeier’s other books. It’s so cool to see some of my favourite characters come to life on the page. This graphic novel brought back so many memories from when I originally read the Baby Sitters Club books. I loved this book and I’m excited to read the next ones! Mungo is a retired actor who lives in the country with his dog. He lives on the family property that belongs to his brother Archie. Archie and his wife Camilla rent out the cottages on their land. Brothers Philip and Billy are from a farming family. They live near the orchard, where Philip takes care of Billy who had a stroke. Mungo’s friend, Kit, comes to stay with him. She is dealing with a past lover who has come back into her life after his wife died. All of these old friends always think of their friend Izzy. She was a beautiful actress that everyone loved but she died young from an overdose. The other tenants of the cottages are Emma and James. James is a writer who has moved to the country to get some inspiration for his latest novel. Emma lives with her two children while her husband is away as a doctor in Afghanistan. She starts to have a relationship with one of her husband’s friends, who turns out to be more dangerous than she imagined. There were a lot of characters and storylines. They were all connected, some much less than others. The perspective kept changing between characters. This could be confusing at times when it switched between characters in the same scene without warning. The story kept giving hints to big scandals but it didn’t deliver. Some scenes had big cliffhangers but they were disappointing when nothing happened. I think if there were simpler plot points, the climaxes could have been bigger. This story was well written but not as exciting as I hoped. Will Mystery calls the Thea Sisters for their help. There is a crack in the ceiling of the Hall of Seven Roses, which indicates trouble with the fairies. 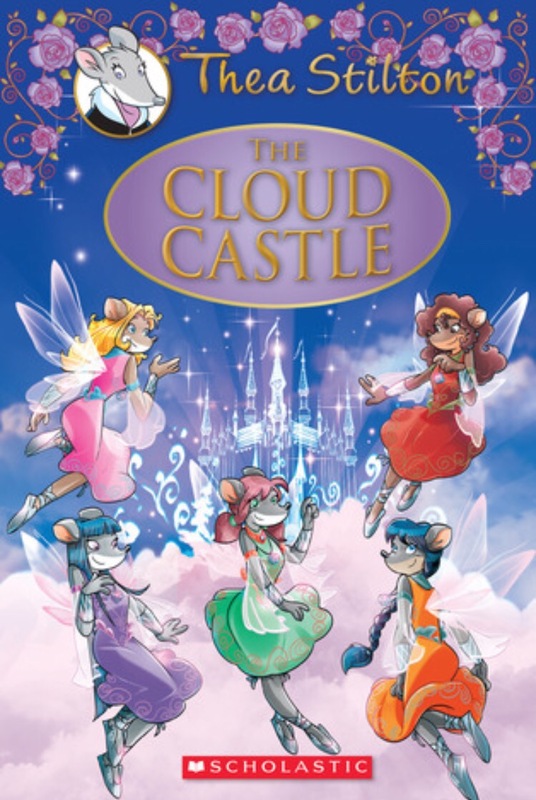 The girls and Will take a helicopter to Mount Everest to access the fairies in the clouds. 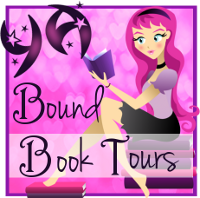 Once they get there, they find Ariette, a weaver fairy, who is locked away in a tower. She has been sent there because the Queen thinks she caused their problems by telling the fairies about the real world below the clouds. The problem is that the weaver fairies, who create silver thread with their dreams, are no longer producing it. They need the silver thread to weave clouds everyday. The Thea Sisters and Will embark on a mission to clear Ariette’s name and discover the truth behind the missing silver thread. There were many aspects from World mythology in this story. For example, the elephant, Airavata, reminded me of Krishna from Indian mythology and the hundred handed giant is like the ones from Greek mythology. Multiple words on each page stand out by being illustrated. For example, words related to snow would have snow covering the tops of the letters and the word “rainbow” had a different colour for each letter. This makes these words stand out and would teach young readers what they mean. The mouse theme was present throughout the story. They would exclaim “Holey Cheese,” and at first I thought they spelled “holy” wrong. The same thing happened when they described something as “enormouse.” This was a clever way to incorporate the mouse theme into the story. 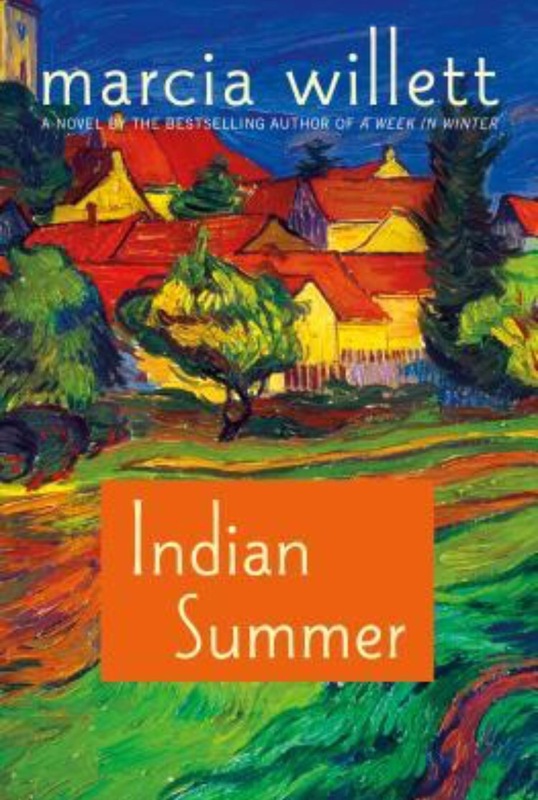 This book was recommended to me by a ten-year-old because it’s her favourite book. I was surprised at how many times I laughed while reading it. I haven’t read any other books in the series but I still really enjoyed it. Lucy Maud Montgomery lives with her maternal grandparents in Cavendish PEI. Her mother died when she was twenty-one months old and her father moved to Prince Albert, Saskatchewan. Maud had trouble with her teacher the previous year, so she was sent to live with her Aunt Emily for a while. However, Maud still causes trouble for her grandparents when she returns. They find her secret diary which ruins their relationship. She also starts to have a relationship with Nate, the stepson of the Baptist minister. This is a problem because her family is Presbyterian. These incidents lead her grandparents to send her out to live with her father. But her life doesn’t get easier when she has to deal with his new wife and family. Throughout all of this, Maud finds solace in her writing, both stories and letters to her friends. The beginning of this story shows Maud being immature and playing with her friends. Though she is fourteen, she acts younger. She often passes notes with Nate and her best friend Mollie. But when everyone else grows up around her, like her cousin Pensie, she also matures. 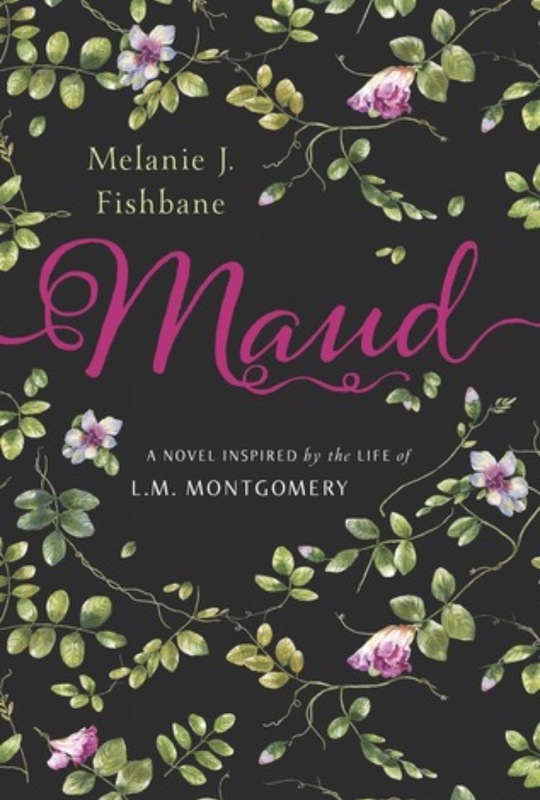 Maud changes throughout the novel as her situation changes. She acts like a child with her friends in PEI but she has to grow up quickly when she faces her stepmother, who treats her like her personal maid. Maud has to adapt to this new life, where she must defend herself. Though there were hints of her inspiration for Anne of Green Gables, Maud wasn’t portrayed as her iconic character. Sometimes, stories about authors just show them acting like their characters, but that wasn’t the case with this one. I liked this story about Canada’s most famous female author.